Here are two sunny weaves that I have done in the the past. The one on the left is Early Sun it is cotton and slub string and cotton and linen slub string. 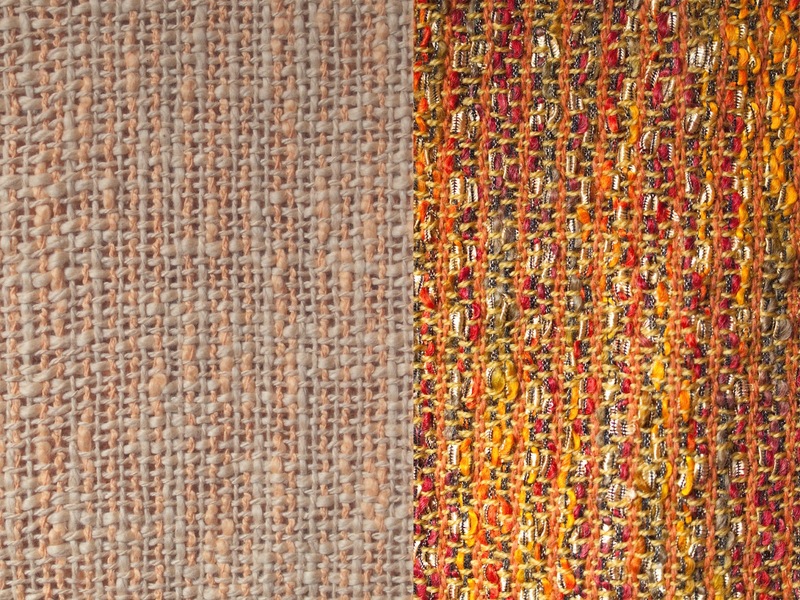 The one on the right is Golden Dragonfly is is a mixture of vintage wools in antique gold and copper and ladder yarn in variegating golds, oranges and olive with a black binding. One of my favorite things to do is take picture on my work on the loom. The effect one gets is often quite different to what it looks like when you take it off, because on the loom everything is stretched to it's fullest and nothing has been shrunk in the wash. Below is Golden DragonFly on the loom. It was really pleasing to my eye and to my mind when I was weaving it because of the luster and color of the strings. I had a real vintage feel to it, like I had plucked it out of the late 80s to be tied upon my loom.